Farming is the same way. Farming is not an industry of doing one thing a thousand percent better. It’s an industry of doing a thousand things one percent better. That’s where we come in. We understand that farmers work with very tight profit margins, there’s little room for error. We help your implement improvements in each area of your operation. When those improvements are done together, it improves your bottom line. Corn Capital Innovations is an educational hub for producers to be constantly challenged and informed on how to break yield barriers each and every year. 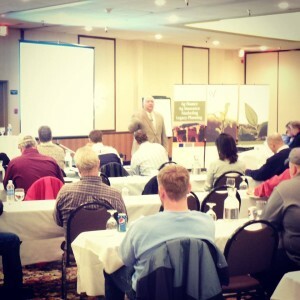 Learn more about Corn Capital Innovations and how we can help develop a continuing education program for your farm. It’s the key to success in farming. Connect with us on Facebook, check out our blog or give us a call today at 320-523-2252. Check back often as we will be sharing details for the 2014 Water Street Edge Business Seminar as well! « Are You Relaxing and Enjoying the Summer?